£2 entry discount for magazine subscribers. Please see below for details, full competition rules and how to enter. Adam O’Riordan received an Eric Gregory award in 2008 and, in that same year, became the youngest Poet-in-Residence at The Wordsworth Trust, the Centre for British Romanticism. His first collection, In the Flesh (Chatto and Windus), won a Somerset Maugham Award in 2011. 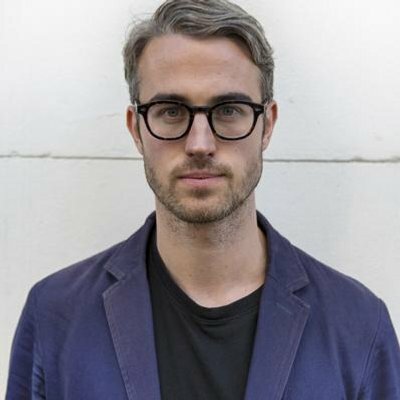 His second collection, A Herring Famine (Chatto & Windus) was published in early 2017 as was his debut book of stories, The Burning Ground (Bloomsbury Publishing). He is Academic Director of the Manchester Writing School and Senior Lecturer in Creative Writing (Poetry). Download a calendar reminder so you don’t miss the deadline. Ensure you don’t miss the competition deadline! Click the “Download Now!” button below to download a calendar reminder for your computer. Enter the number of submissions for the competition category in the box above. Click the “Add to cart & upload files” button. Your file can be in either Word .doc or .docx, .pdf or rtf file formats. Once you have selected your entry file/s, click the “Upload” button. Click the “View Cart” or “Checkout” buttons to proceed with registering your details and to make your payment. Click the button below to download an A5 competition flyer and postal entry form for the Bare Fiction Prize 2017. If you are a current paid subscriber to Bare Fiction Magazine and you are entering online you will see the discount added to your entry after you login to your account during checkout. Alternatively, you can purchase a subscription online by adding either a Digital or Print Subscription to your basket after you have uploaded your entry files. The subscriber entry discount will be added to your basket. 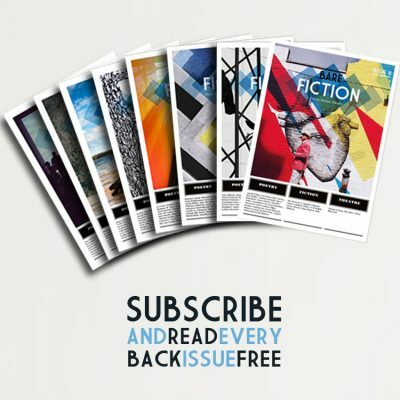 If you are entering by post and have a current paid subscription to Bare Fiction, simply enter the discounted entry rate on your form and send the appropriate payment. 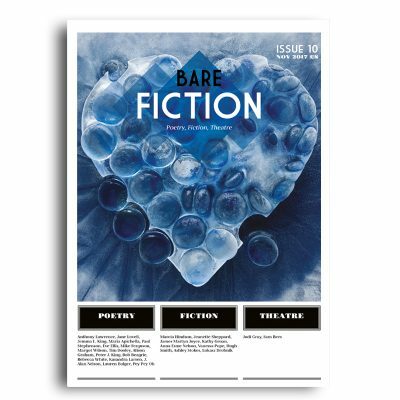 All subscriptions to Bare Fiction Magazine include completely FREE access to digital editions of all back issues. 3. Postal entries must be typed or written clearly in black on white A4 paper or US letter size, and on one side of the paper only. 4. For works that are longer than one page, the complete work must NOT be stapled in the top left hand corner. Please use a paper clip. Please DO NOT staple work together. 5. You may enter as many pieces as you wish, accompanied by the appropriate entry fee. 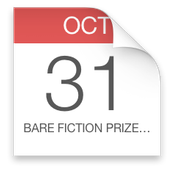 For Bare Fiction Magazine subscribers the entry fees are reduced. 6. Your poem, flash fiction or short story must not have been previously published or placed in any other prize or competition to be eligible for the Bare Fiction Prize 2017. You must notify us immediately if your work is shortlisted for another competition or accepted elsewhere and withdraw your entry. 7. The closing date is 31st October 2017. Postal entries must be received by the closing date to be eligible. Online entries can be placed until midnight GMT on 31st October 2017. 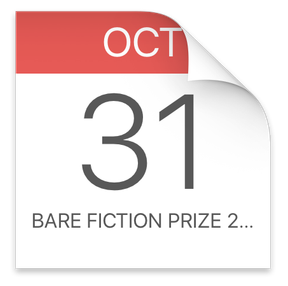 Winners will be notified by 10th January 2018; the first, second and third prizewinners will be published in the Spring 2018 issue of Bare Fiction Magazine and on the magazine’s website. The prizes will be awarded at our launch reading in Birmingham in Spring 2018 (date to be confirmed). Copyright remains with the authors, but we reserve the right to publish the winning entries. 8. If you would like a receipt for your entry, send a small envelope marked receipt, self-addressed and stamped with UK postage, or enclosed with an international reply coupon. For a list of the winners and details of the awards reading, please enclose an envelope marked results, likewise stamped or with an IRC. The results will also be published on our website by 31st January 2018. 9. We are unable to return entries, so please don’t send your only copy. We will not enter into any correspondence about entries, or make changes to entries received. Incomplete submissions will not be accepted. The judges’ decisions will be final. Your entry in the competition means you accept these rules. We will abide by good practice in the running of this competition, but cannot be held responsible for circumstances beyond our control such as failure of postal delivery. Should the named judge be unable to proceed in any category, we aim to find an alternative judge of equivalent standing as an author/poet. Prizes may be withheld or altered if we receive no outstanding entries, or insufficient entries. If you enter by post and wish to pay via PayPal, please include a transaction ref. number (or other proof) with your entry.